What do we do??? Poster distribution through internet social media sites, Email and Fax (which includes a Fax database of over 10.6 million businesses). Complete casework and research of a missing person's case by a team of trained volunteers. We Can Bring You Hope organization will review each case and if it meets our criteria and we feel we can assist you we will accept it. **We can not guarantee that ANY ORGANIZATION THAT WE REFER YOU TO will take your case we just simply refer ALL FL/IL cases to them** IF YOU WANT A REFERRAL TO EME (FLORIDA CASES) PLEASE COMMENT BELOW AND I WILL GIVE YOU A CODE SO THAT YOU ARE NOT CHARGED FOR SERVICES. 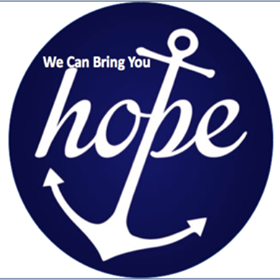 We help many families of the missing with your help we can bring them home. Please mention who the tip is for. Thank You. As of DECEMBER 31, 2017, NCIC contained 88,089 ACTIVE MISSING PERSONS RECORDS. We do not share Go Fund Me Accounts for anyone. We rely on donations to help families of the missing and to gain awareness.